Joel Embiid's rebounding average of 13.3 per game is the 3rd best in the league right now. 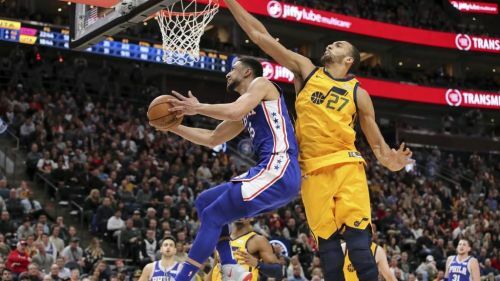 Before the Sixers arrived in Utah to face the Jazz, they had won four of their last five matchups and were looking for their third straight W. Starting out slow, the Sixers unveiled an all-around show of dominance against the hosts, on their way to a commanding 114-97 road win. The disappointing home loss for the Jazz is their sixth in the last ten games, as they now plummet to 12th position in the West with a subpar 17-19(0.472) record. The Jazz are 7-8 at home this season, one of the few teams with a losing record at home. On the other hand, the win has brought the Sixers to within 3 games of the East leaders in Toronto, while they rest at a comfortable 4th spot with a 23-13(0.657) record. 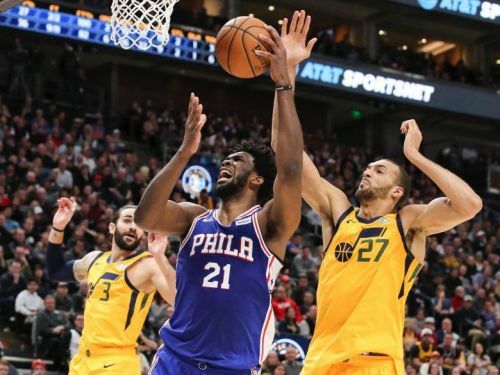 Let's draw out some key takeaways from the Sixers' majestic road-win over the stumbling Utah Jazz. Ben Simmons beat Donovan Mitchell to the ROY race last season. Embiid added another double-double to his league-leading total of 31, finishing with an imposing collection of 23 points, 15 rebounds, 6 assists and 5 blocks. "I love talking trash. That's my nature. But it's all fun and jokes," Embiid said after the game, "I can't let people just talk trash to me, I got to talk and back it up." Handling his own personal set of boos and chants was Ben Simmons, another Sixer who looked authoritative throughout the night, recording 13 points, 14 rebounds and 12 assists for his fifth triple-double of the season. He accomplished this feat well before the 4th quarter began and also netted some key buckets down the stretch when Embiid was fouled out.